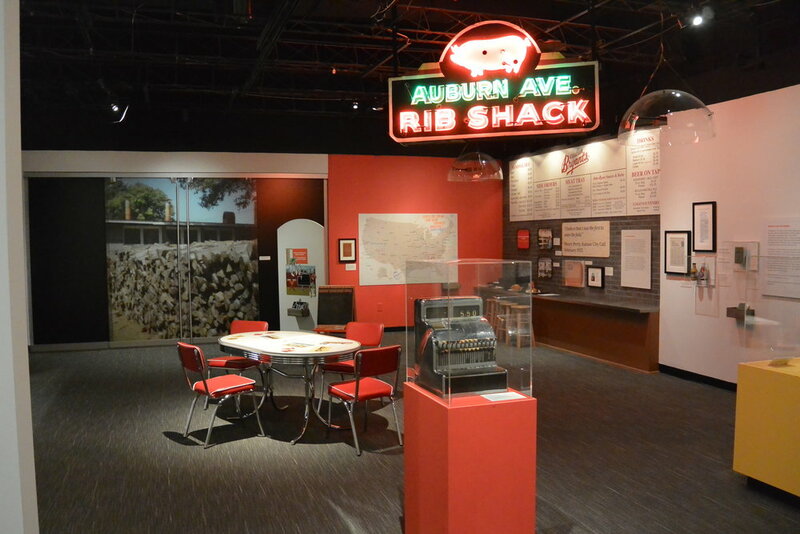 Barbecue Nation is a temporary exhibition that explores how barbecue has come to claim the heart of America, and how it connects us to cultures around the world. 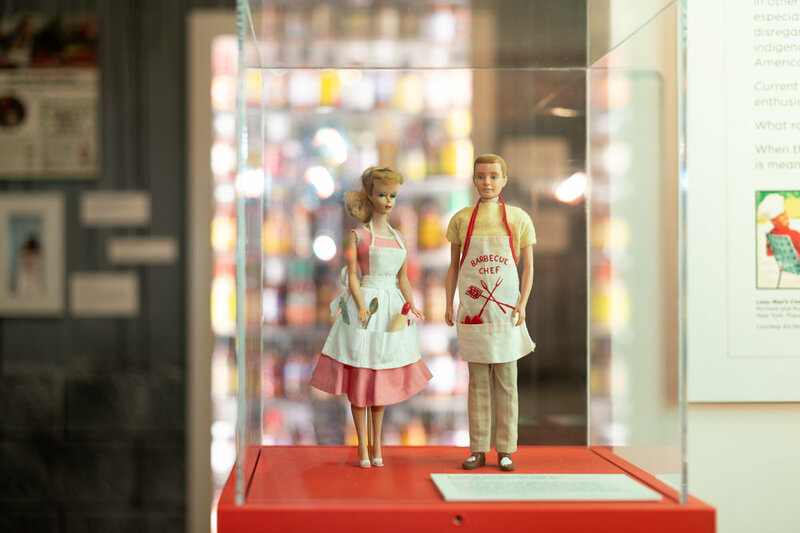 Barbecue Nation is a temporary exhibition that explores how barbecue has come to claim the heart of America, and how it connects us to cultures around the world. The exhibition includes historic photos, advertising images, vintage grills, cookbooks, menus, and scenic recreations of a pit smoker, a Native American barbacoa, and the façade of an iconic barbecue joint. In addition to fabricating the exhibit components and scenic elements, BLDG4 was also contracted to design and fabricate many of the hands-on interactive elements found in the exhibition. The interactives were used to supplement the didactic panels and reader rails and helped create more educational opportunities for a younger audience. Patrons come away from the exhibition with a better understanding of the story of barbecue and even how barbecue tells us a lot about us. Some images courtesy of the Atlanta History Center.